Birla, who was flanked by other senior officials of Vodafone Idea and Himanshu Kapania, vice-chairman at Grasim Industries met Sundararajan for nearly 30 minutes. Just days after raising concerns over stress in the telecom sector, Vodafone Idea Chairman Kumar Mangalam Birla Thursday held another round of talks with Telecom Secretary Aruna Sundararajan. Birla, who was flanked by other senior officials of Vodafone Idea and Himanshu Kapania, vice-chairman at Grasim Industries (also Board member of Vodafone Idea Ltd) met Sundararajan for nearly 30 minutes. Emerging from the meeting, Birla, however, refused to comment on the deliberations. This is the second such meeting between the industry honcho and the communications ministry over the last few days. Birla had earlier expressed concerns over the severe liquidity crunch in the telecom industry and has sent an SOS to the government for deferring statutory payments in a sector that is not generating enough cash to even service loans. The telecom sector has been battered by falling tariffs, eroding profitability, and mounting debt in the face of stiff competition triggered by disruptive offerings of Reliance Jio, owned by richest Indian Mukesh Ambani. 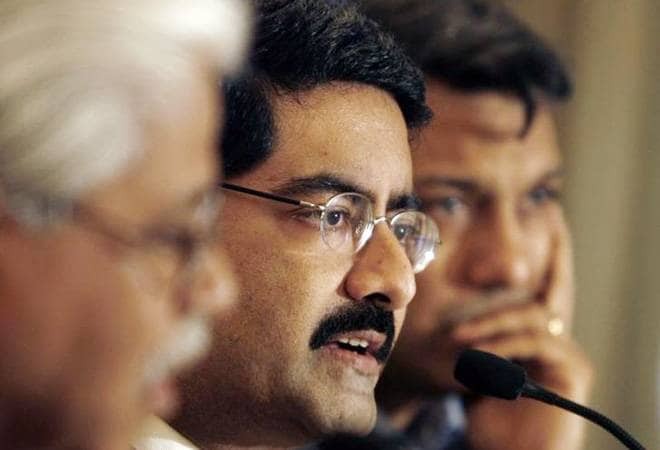 Birla, who heads Vodafone Idea -- the country's largest mobile operator, had also raised issues around high spectrum payouts and levies during his meeting, earlier this month, with Telecom Minister Manoj Sinha as well as Sundararajan.